The Town of Stettler campground is at 4621-62 Street directly across from the Rotary Spray Park & beautiful West Stettler Pond. 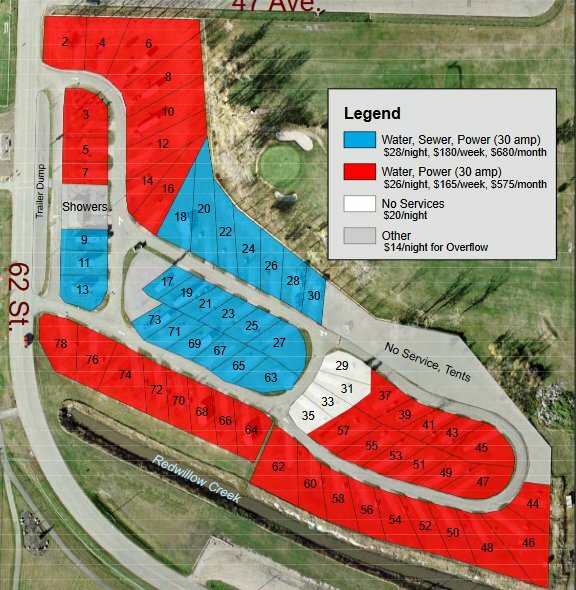 We can accommodate 63 units offering full service, partial service and tent stalls. All stalls have been upgraded to 30 amp. Our campground also includes a shower house with free showers and washroom facilities and in 2012 we added free WiFi. Across from the Campground is a great place to cool down. The Rotary Spray Park is kid friendly and has change rooms. It's a great place to have a picnic. Contact 403-742-4411 for more information. Please note that we do not take reservations. 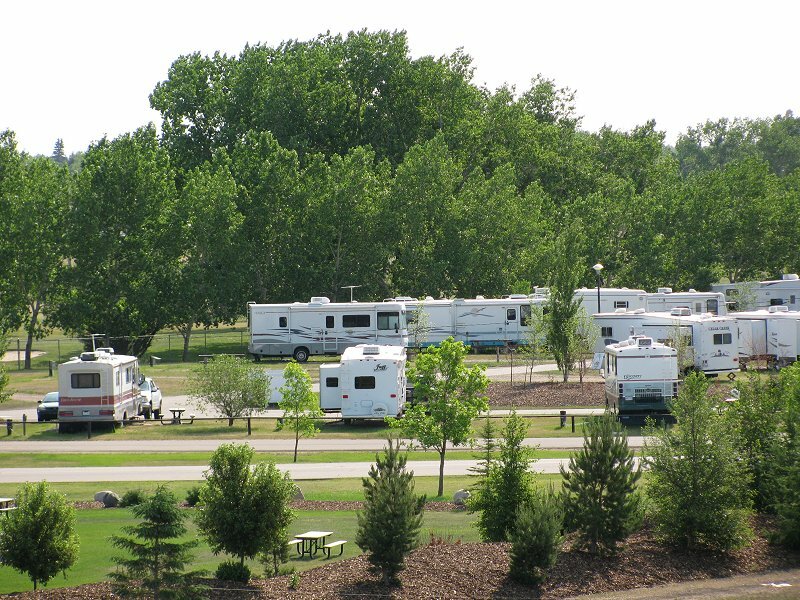 Please visit Town of Stettler Campground Website.